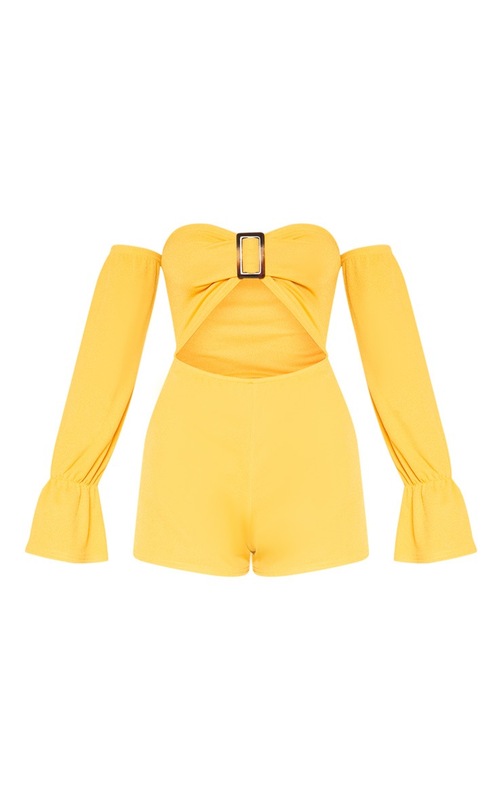 Channel summer worthy vibes with this playsuit girl. Featuring a yellow material, with a cut out detail, flattering bardot neckline and tortoiseshell buckle, what's not to love? Style with layered accessories and lace up sandals.